Expectations: Low, Hsu Cheng Hung seems unwilling so far to try much else other than the Chinese opera melodramas that I’m not to fond of. The Silver Fox is a film that showcases the shifting nature of the Shaw Studio in early 1968. 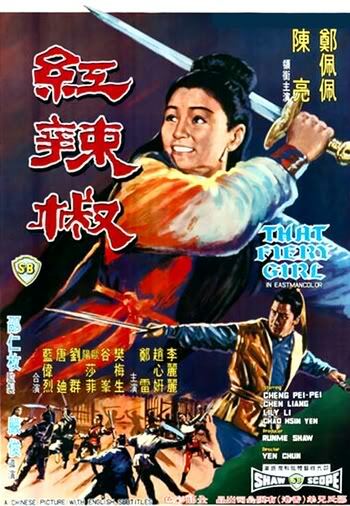 Directed by the less than exciting Hsu Cheng Hung, who made Temple of the Red Lotus & King Cat among others reviewed here, The Silver Fox is equal parts old school Chinese melodrama and new school Chang Cheh style vengeful violence. What keeps it from being a bad (as in bad) kung-fu movie is its wonderful story of betrayal and deceit, but what keeps it from being a bad (as in good) movie is its lackluster middle section that focuses on budding romance and the conflicted melodramatic feelings of the main characters. The film opens with a stunning sequence involving the brotherly betrayal of Wong Chung-Shun and Tien Feng, as Wong steals two secret kung-fu manuals and then blames the theft on Tien Feng. Tien’s kung-fu is crippled by their master and then Wong throws poison darts into his face, disfiguring him for life and sowing the seeds of revenge. This is something of a different role for Tien Feng, playing a young martial student, but he does a great job with it and looks the part. Many years pass and now the Silver Fox is on the loose, trying to steal a gold plaque from the Jun Wai Security Bureau headed by the evil Wong.